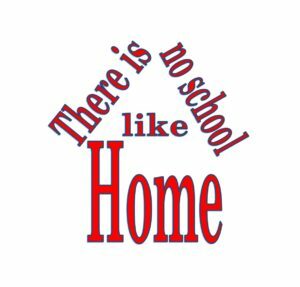 Click here to see the Wyoming Homechool Laws for the 2015-2016 School Year. Well never fear, we are here to help you! We want to be there for you when you feel like you are drowning in a sea of curriculum and style choices. We want to be there for you when you feel like your family and friends couldn’t possibly be more hurtful. 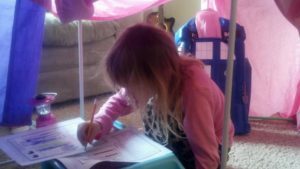 There are a few things that usually come up when you are considering homeschooling your children. These things are not only things you may think about or worry about, but they are also things that everyone in your life will suddenly think they can weigh in on, because of a decision you are making for your family. Hopefully, as you read this, your mind will be put to ease. Then there is church, and just because you start homeschooling doesn’t mean the children in your neighborhood will treat your children like lepers… (if that were the case my house would be a lot emptier during the summer and on weekends). People who bring up “socialization” as a reason not to homeschool are just looking for an excuse. You are qualified to homeschool because you are the parent. Naysayers will say “how will you teach trigonometry?” But the truth is that it is OK to learn with your children. Many curricula are designed to be self directed for the student, plus the teachers guides will often times help you understand how to teach something you are not so familiar with. The added bonus to that is that you and your child would have just learned something new, together! I thoroughly enjoy learning with my children. I don’t know everything, and I don’t see the point about lying to my children in order to convince them that I am beyond learning. Learning with your children also shows them that learning doesn’t stop just because you are no longer in school. The great thing about homeschooling is that you can instill within each child a life time love of learning. The other thing to consider is that children can learn. Obvious right? Well, most people seem to think children need to be taught in order for them to learn. When most of the time, when given the opportunity children can learn without being taught. That doesn’t mean you don’t have to explain why 2 negatives multiplied together is a positive, it just means that your children are capable of learning without you having to know everything. And, one size does n’t fit all. There are different methods, styles, and curricula because children are individuals. Each of your children may learn differently, and homeschooling allows you to personalize each child’s education. I really recommend reading Charlotte Mason’s writings. (you can read them here, or purchase them on Amazon.com) Even if you don’t choose her methods, she really understood how children learn, and will help take you out of a “classroom mindset” as you begin your homeschooling journey. Unit Studies are great, the possibilities are endless, and they are pretty economical. Check out Currclick.com for a plethora of unit studies, lapbooks, and other printables. Lapbooking is a great way for hands-on learners to do unit studies and it is a great way to keep their work. And be sure to get a teacher card at the library. You can check out more books, for a longer period of time. For a comprehensive list of classics and “living math books”, be sure to visit Thomas Jefferson Education (TJed). You can homeschool. Don’t let anyone tell you that you can’t. If you are considering homeschooling we want to help! Click here for the forms you need, the Wyoming law, curricula we recommend and more. 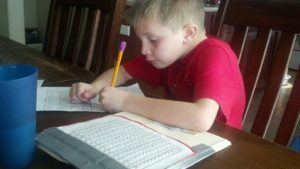 Don’t forget to share this article with your family and friends, you never know who may be considering homeschooling.